Here in Colorado, drivers have the privilege of owning a driver’s license. While the point system for licensure seems pretty lax, it can certainly come back to haunt people. You are given twelve points to lose in the course of a 12-month span or eighteen points over a two-year period. 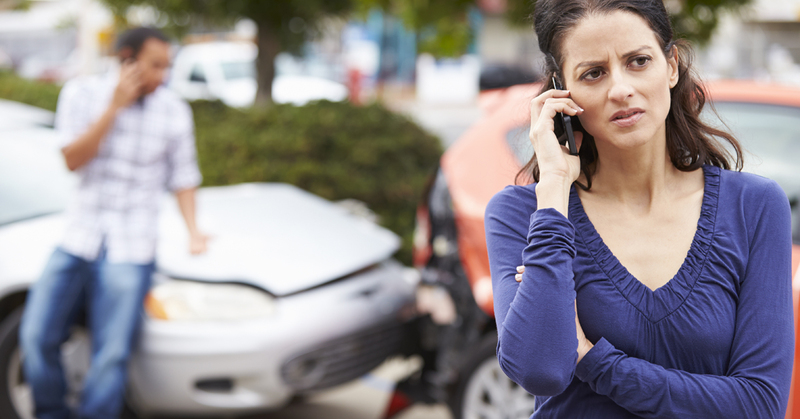 If you’re facing a court date for traffic violations, Peek Law Firm can help! We are staffed with knowledgeable criminal defense attorneys in the Greeley area, and we can help with your moving violations. Our law firm was based on the principle that people thrive when given the proper assistance. Peek’s wide variety of services ensures that you have the right lawyers working for you. While traffic offenses are a very common part of life, people are often misinformed as to the reality of utilizing an attorney to fight tickets. A popular misnomer that people associate with criminal defense lawyers is that they are very expensive. Not true! What would be the purpose of offering traffic representation when the lawyer representing you costs more than the ticket itself? Our attorneys offer excellent legal services that are affordable. If you consider the savings that professional representation can bring you in the long run with ticket costs and insurance increases, our services will appear even more cost-effective! Hiring a legal professional can pay in spades when it comes to understanding the complex subtleties in our legal system. All drivers have rights, and here at the Peek Law Firm, we work hard to ensure that your rights are protected. Our experts will provide stern, sensible guidance for how to best navigate the legal system. Another positive that comes with hiring a traffic attorney is the quality of representation that you will receive. When a defendant comes into a court case without a lawyer present, it can say a lot about that defendant. Prosecutors are keen to placing hefty legal knowledge on the citizen under review, often intimidating them. Our experienced attorneys will be present in order to protect our clients from undue examinations. When you represent yourself, the chances of receiving harsh penalties and fines can be much higher. Don’t let the system bully you — contact us today! The purpose of hiring the most professional lawyers is to receive the most professional results. When you hire our law firm, you can feel confident in the fact that our professionals will do everything they can to make your life better. Ideally, the goal of any traffic ticket case is to ultimately get the ticket thrown out. While this doesn’t always happen, our attorneys will work hard to ensure that you get the most out of our services. Every traffic violation is unique based on factors such as the event itself, driver’s history, the officer on scene, and so on. We’ll work with you to achieve the best possible outcome. A typical traffic violation will be resolved either by getting the case dismissed or by settling on a smaller fine. Based on the ticket, receiving a fine reduction can be hugely beneficial on the financial front. For some people, their remaining points are essential for retaining their driving privileges. In these cases, penalty reduction can be a life-saving process. Peek Law can help to keep you on track for success and keep you out of legal trouble! No matter the reason for your legal reasons, Peek Law Firm has the solutions. We are your top-notch criminal defense attorneys in Greeley. We offer comprehensive defense services, along with family law and estate planning. If you’re needing a criminal defense lawyer, don’t trust your freedom to a sub-par agency. Let our team work hard to restore your livelihood!